Hello! 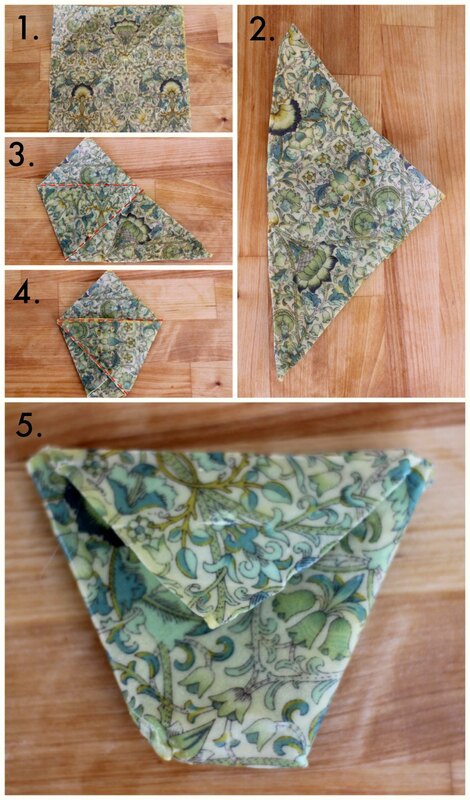 It’s been a little while since I shared a DIY with you, but today I want to share my beeswax food wrap DIY. It’s a great alternative to using cling film, tin foil or plastic tupperware to store food in, and really easy to make. We actually cut our cling film and tin foil usage a long time ago. We switched to using parchment paper to wrap our food in before popping it in the fridge or freezer, or storing food in glass jars or tupperware tubs. All of this has been doing the job pretty well, but I’ve been trying to find an alternative to parchment paper as I’d like to be able to not buy so many single use products, like parchment paper. I also wanted to find a way to transport my lunch without the need for bulky tupperware tubs. Those things are a pain to carry around all day! 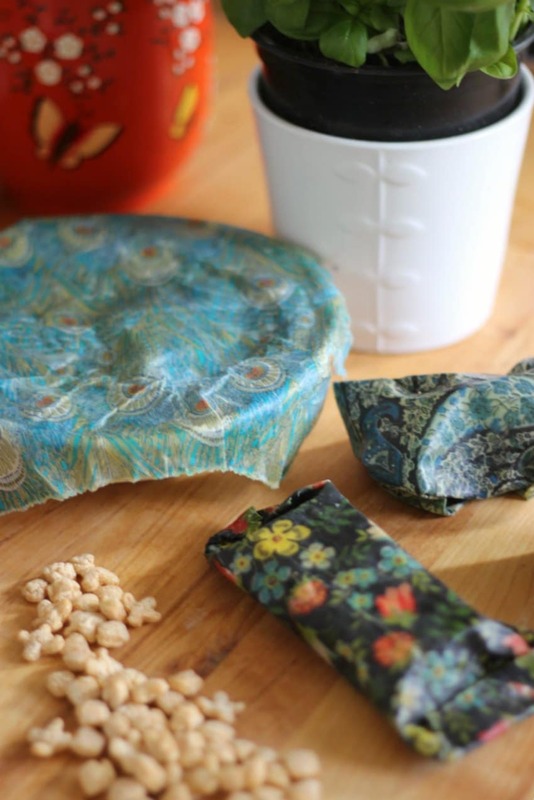 So, lo and behold, the answer I was looking for: the beeswax food wrap! I had seen some pretty nice ones for sale online, but the statutory maternity pay I’m on at the moment sadly doesn’t quite stretch to beeswax wraps. I had some fabric scraps leftover from an old craft project, and some beeswax pellets left over from making beeswax candles, so decided to try my hand at making my own. How hard could it be? Turns out: not very hard at all. Freshly washed and dried fabric scraps – a variety of sizes. Preheat your oven to 85°C. Lay your piece of fabric flat on your oven tray. Sprinkle the fabric liberally with your beeswax pellets. Place in the oven for around 5 minutes, until the beeswax has all melted. Keep an eye on it the whole time to avoid burning. Once all the beeswax has melted remove the tray from the oven and quickly use your silicone basting brush to evenly distribute the beeswax. The beeswax will start to set as soon as you take it out of the oven so you want to do this bit very quickly. As soon as you’ve done this use the tongs to remove the fabric and hang it up to dry. It will take only minutes to set and then it’s ready for use. If you find you’ve got too much beeswax on your fabric then simply place back in the oven for a few minutes until the beeswax has melted. Then brush down with your silicon brush again. To remove the beeswax from your oven tray and basting brush wash in hot water. 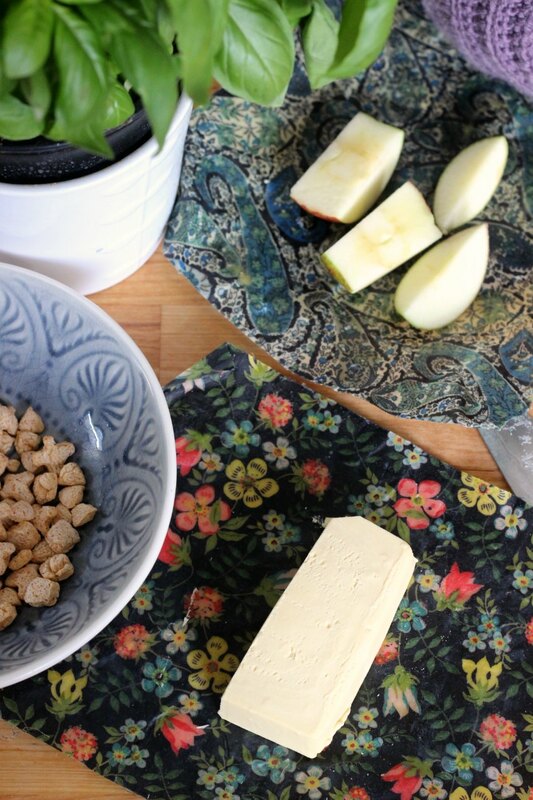 You can use beeswax wraps in practically any way you see fit – for example wrapping cheese. Just wrap the cheese in the wrap and use the heat from your hands to seal the ends. Got a leftover bowl of food? 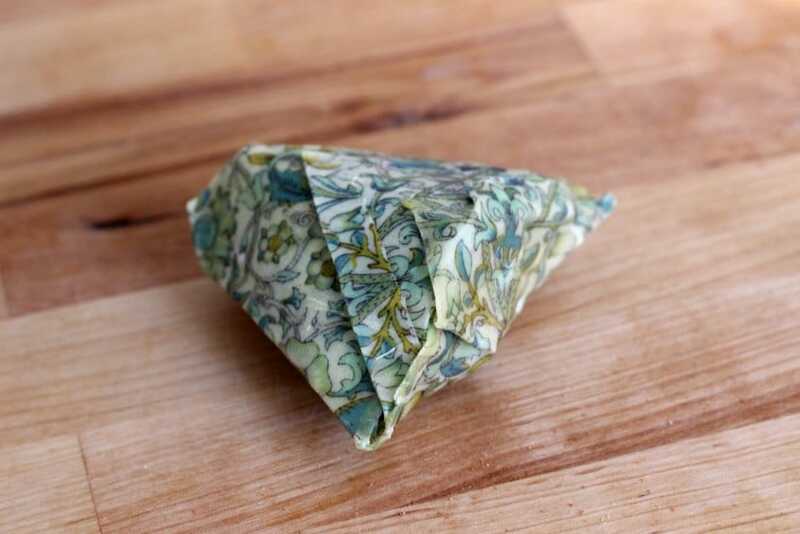 Simply place a beeswax wrap on top and again, using the heat from your hands, seal the wrap around the edges. The uses are endless! See my some notes on usage below for some more handy hints. My eldest daughter loves the little snack boxes of raisins. I’ve found it’s cheaper and less wasteful on the packaging front to buy a big 1 kg bag of raisins and make my own little snack packs of raisins using the beeswax food wraps and a bit of origami. 1. Take a square of beeswax coated fabric and fold diagonally, as in picture two. 2. Fold down the left hand corner, as in picture 3. 3. Fold down the left hand corner like in picture 4, lining up the edge with the previous fold. 4. Fold down the triangle that’s sticking up at the top. 5. Flip it over and fold down the other triangle. To seal, fold down the flap on the side that doesn’t have any folds in it, and you’re good to go! The most important thing to remember is beeswax melts at a low-ish temperature – the melting point of beeswax is around 62°C to 64°C, so any use that is going to be around or above that temperature is a big no no. Think cold. With that in mind, wash your beexwax food wrap in cold soapy water using a gentle eco friendly washing up liquid, like Ecover, Bio D or Method. Avoid using alcohol based washing up liquid as it can degrade your beeswax. Leave to air dry, and don’t leave it on your radiator to dry! Don’t put your wraps in your dishwasher or washing machine. And definitely not your tumble drier! 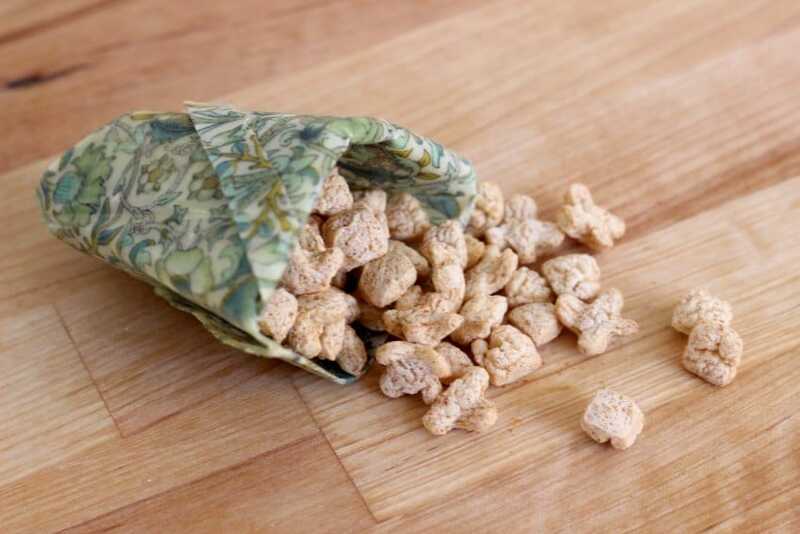 Like cling film, your beeswax wrap is for food storage only – don’t use it in your oven or microwave. The beeswax will melt and will leave a big mess that won’t be fun to clean up. I wouldn’t let your beeswax food wrap come in direct contact with raw meat, as you can’t wash your wrap in hot water or sterilise it. If you want to store raw meat using your wrap, I would put the meat in a bowl and use the wrap to cover the bowl. Don’t use your wrap directly on to hot food. Let the food cool first before wrapping it. You can freeze your fabric wraps. I wouldn’t use it for long term freezer storage though – only for food you plan on freezing in the short term. I would suggest no longer than one month. When your beeswax food wrap stops losing the ability to fold, simply wash and re-wax it in the same manner as above. 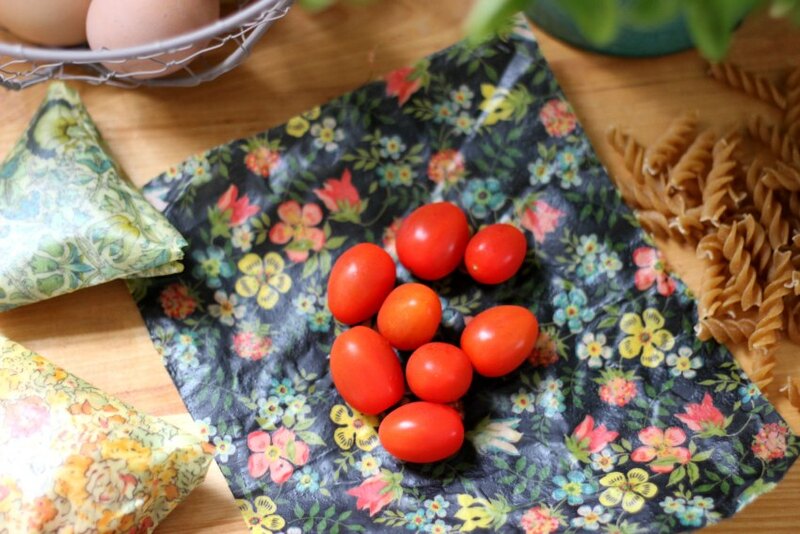 Have fun making these wraps – it’s really good fun! 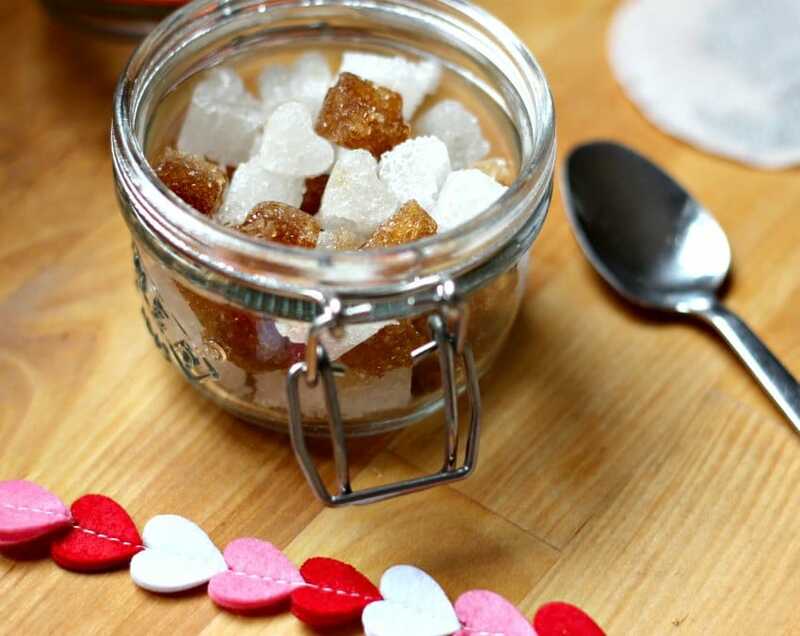 I’ve got a really easy DIY for you today – these heart shaped sugar cubes. I was looking for an easy craft to do this week with my oldest daughter, and as I was rummaging about in our kitchen drawers I stumbled upon my heart shaped mould, which immediately grabbed her attention. She’s in a pink phase right now, and nothing else would do apart from this bright pink mould, so I had to come up with something. The idea of making heart shaped chocolates over a bain marie with a four year old seemed more than a little fraught with danger, shall we say, so I managed to get her to settle on making these heart shaped sugar cubes. Much less danger, but still the same sweet delight! I’m a little late for Valentine’s Day (life with a newborn means I never have an idea of what date it is!) but these heart shaped sugar cubes would make for a sweet zero waste gift idea, homemade wedding favour, or fun activity for kids. Or even just a fun 2 minute way to brighten up your afternoon tea! To call this a DIY is perhaps over egging the pudding a little. as there’s nothing to it really – it only needs a few minutes of your time and some sugar! It also requires zero skill level – it’s almost foolproof (just don’t add too much water!). Make some sweet heart shaped sugar cubes with this easy 2 minute DIY! 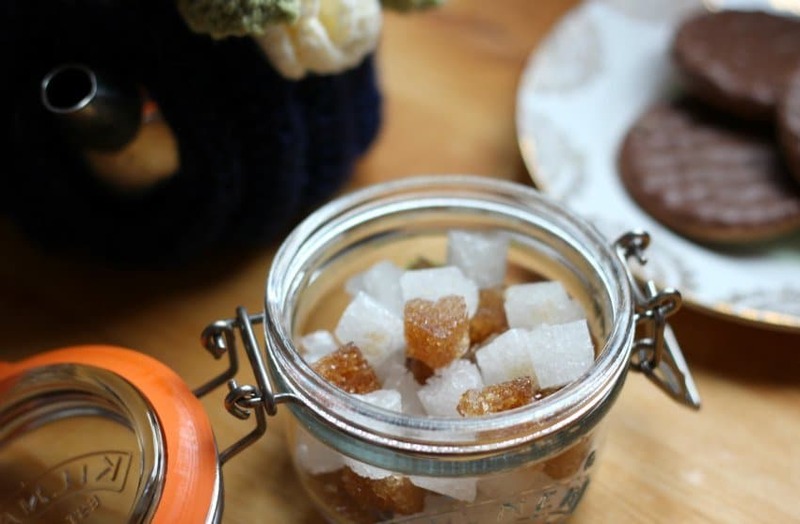 To minimise waste, pour your sugar into your clean dry mould so you know exactly how much you need. Then decant the sugar in the mould into a bowl and add a small amount of water to the sugar. 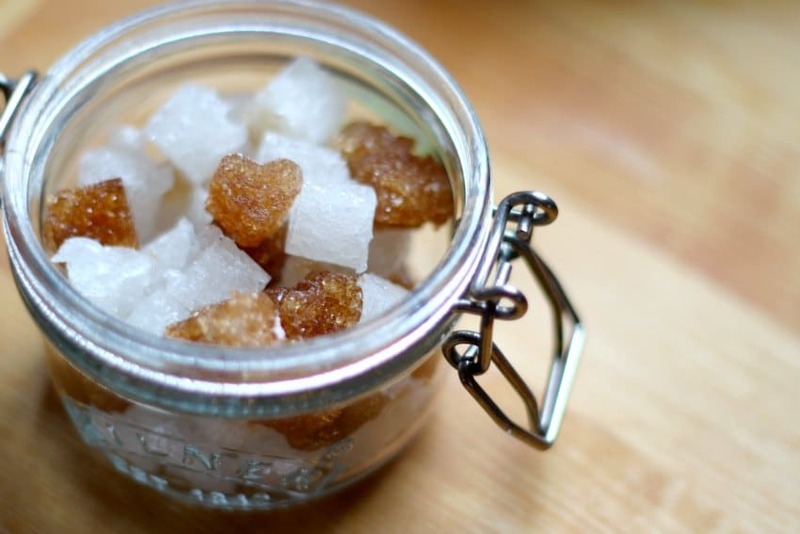 You only need a small amount of water - just enough to moisten the sugar, you don't want to dissolve it! Your best bet it to start with a teaspoon of water and mix it into the sugar so that it has a sandy feel to it. If you need to add more water do so in very small quantities. Put the moistened sugar into your mould - pressing down with your finger so that the sugar is tightly packed. Cover and leave to dry for 24 hours. 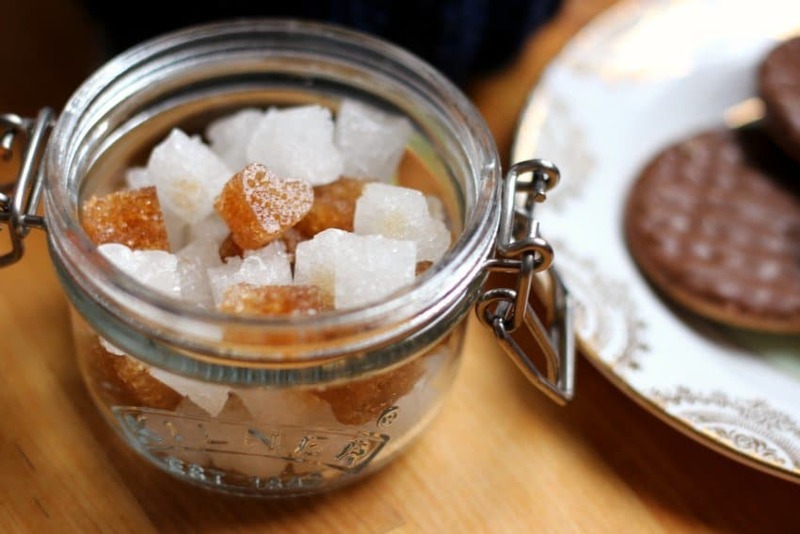 Pop the sugar cubes out of your mould and keep in an air tight jar. Now decide if you want one lump or two! I’m not the most crafty person in the world, but this was well within my comfort level, my daughter had fun, and we were both were really pleased with how the sugar cubes came out! Now to put the kettle on for a cup of tea!